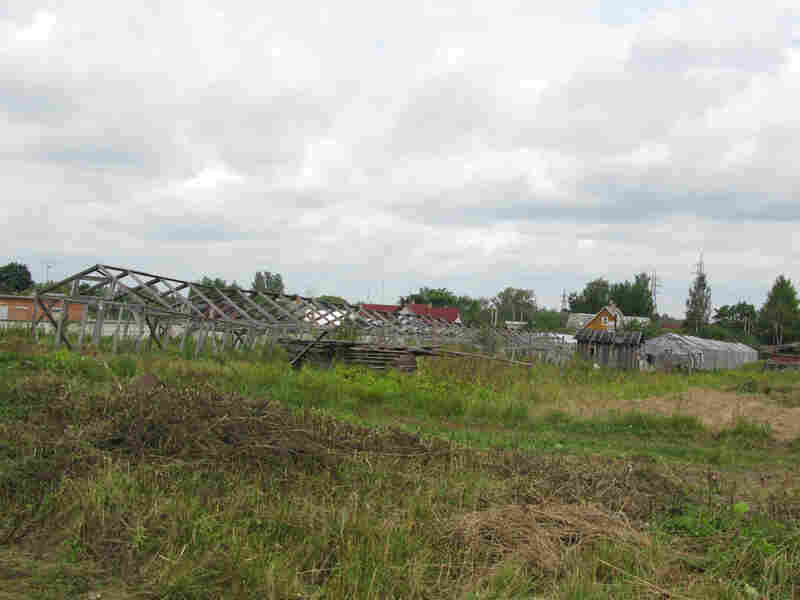 Researchers Fight To Save Fruits Of Their Labor A Russian court has cleared the way for the government to sell off land used by a world-renowned fruit research center outside St. Petersburg. 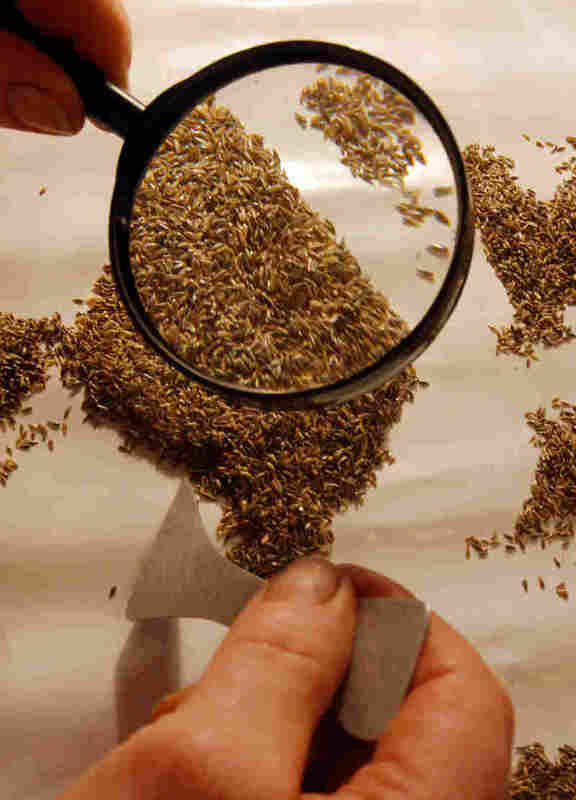 Scientists say losing the facility means losing seeds and plants that exist nowhere else. But a Russian agency says much of the research center occupies weed-choked fields that would be the perfect spot for new houses. 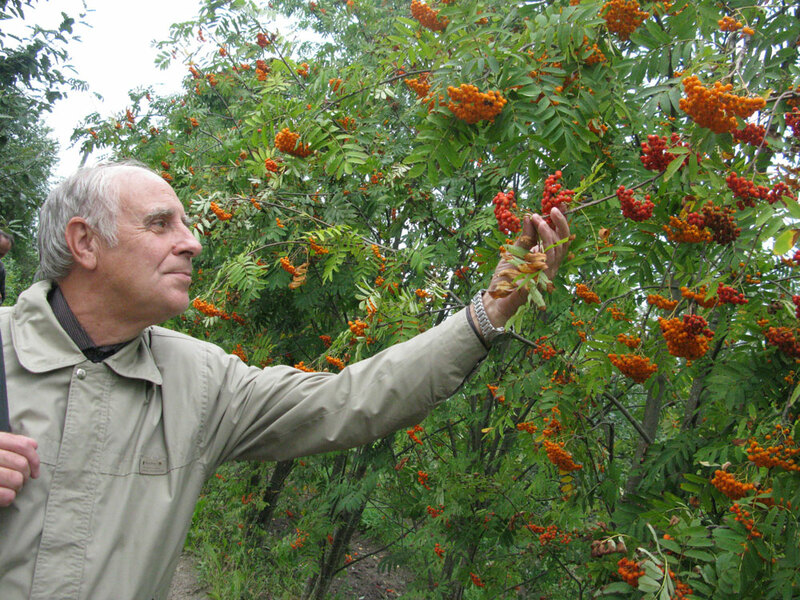 Leonid Burmistrov, a researcher at the Vavilov Institute of Plant Industry, stands amid orange "sorbus" or "mountain ash." This fruit and others could be destroyed if the Russian government sells the land in the village of Pavlovsk. Buried amid the stories of World War II heroism is this one: With German forces blocking food and supplies to the Russian city of St. Petersburg -- then known as Leningrad -- a group of scientists guarded a rare collection of potatoes and plant seeds. They feared years of research into food would be ruined. 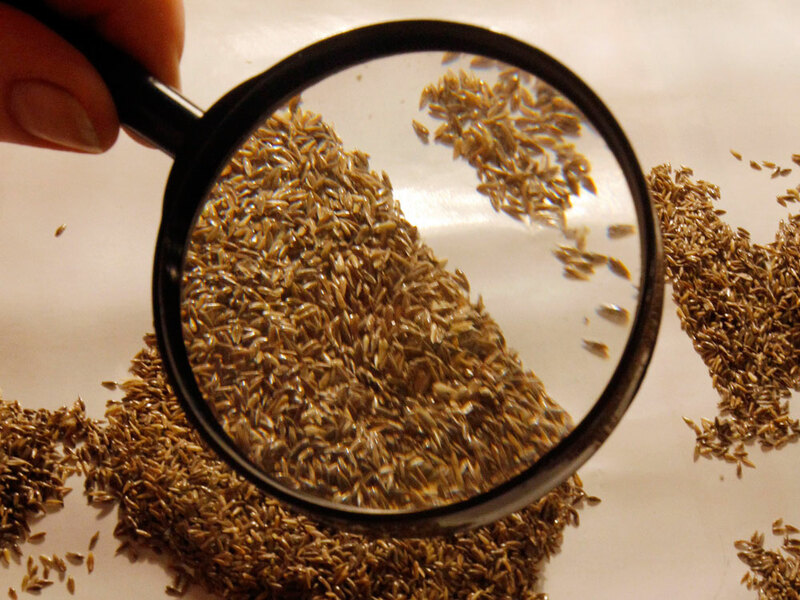 An employee sorts grass seeds at the Vavilov Institute of Plant Industry. The world's first seed bank survived World War II thanks to 12 scientists who chose to starve to death rather than eat the grain they were saving for future generations. The potatoes and seeds survived. The scientists, refusing to consume their collection, starved to death. Now, 70 years later, their research institute is under threat again -- this time by real estate developers. A court has cleared the way for the Russian government to sell off acres of land used by the Vavilov Institute of Plant Industry, which grows hundreds of varieties of fruit and berry plants there. The gardens -- in the picturesque village of Pavlovsk, 45 minutes from downtown St. Petersburg -- hold clues to how different strands of fruit and berries can survive harsh climates and provide important vitamins. The collection is rare, scientists say, one in a handful of places around the world where scientists carefully study fruit that could sustain through future generations even if temperatures warm and the world's food supply is threatened. "They are doing everything right, from the point of view of the law," says Sergei Alexanian, the institute's vice director for foreign relations. "But we are talking about the morality." Wealthy land developers are lining up to purchase the land from the government. The property is idyllic -- near Catherine the Great's famous palace -- and water, sewage and phone service are already in place. It won't take much for developers to turn the gardens into suburban living. "These plots are not being used," says Andrei Anisimov, deputy director general of the government's Federal Fund for Housing Construction Assistance. "The buildings are neglected and going to ruin. That's why the commission has every reason to make this decision." After visiting the institute's Pavlovsk Experimental Station, it is difficult to come away with a clear picture. On a recent Friday afternoon, the acres of gardens felt close to abandoned, and weeds took over some spots. But without a doubt, the plants themselves appeared well-maintained, exploding with colorful berries even after one of Russia's worst droughts in history. And scientists say that in gardens like this, a lack of people and activity on a given day does not mean the collection isn't vitally important. 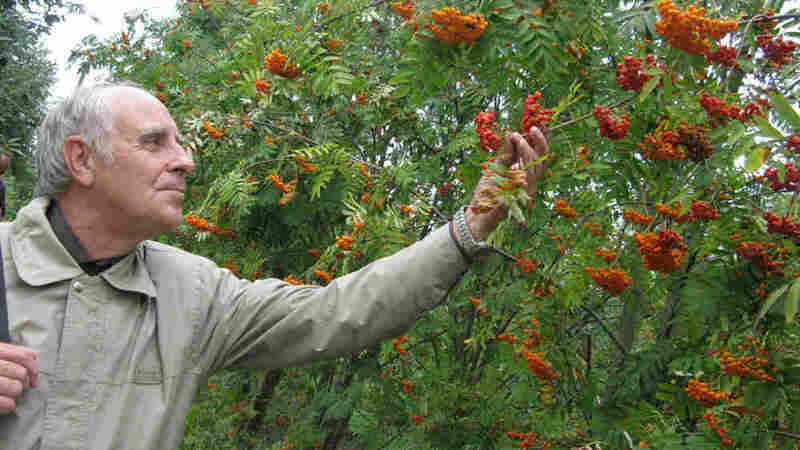 It's been important for centuries, says Leonid Burmistrov, a fruit and crop researcher at the institute for 40 years. Scientists have left over the years, he says, as the government cut funding. But through it all, he says, the research station has collected fruit and berry varieties from around the world, stayed in touch with scientists abroad and cataloged everything. "Like [what is] winter-resistant, resistant to different kind of fungi, diseases or bacteria," Burmistrov says. "What is the quality? What is the taste? And so, so on." "No," he says sternly, standing amid fruit trees. "It's not possible to think about the possibility." Scientists from around the world have rallied to Pavlovsk's defense. There's a campaign urging people to send tweets to Russian President Dmitry Medvedev. And on Aug. 13, a surprise, Medvedev -- or maybe the manager of his Twitter account -- tweeted that the appeals had been noted and the president had ordered an 11th-hour inquiry. "To me, this feels like a watershed type of decision," says Hugh Pritchard, a veteran genetic resources researcher with Britain's Kew Gardens. With the world's population growing and temperatures warming, he says, future generations will increasingly seek new strands of fruit and crops that can survive tougher climates. Pavlovsk's collection is rare, he says. "Probably three-quarters of it is not duplicated elsewhere." Peter Raven, director of the Missouri Botanical Garden and a member of the Russian Academy of Sciences, says the institute's collections are sacred, as is the legacy of the scientists who died defending them. "In doing so, they provided a real model of drawing a line in the sand for biodiversity that's inspired everyone." Residents seem more fired up about another battle -- to make sure the energy giant, Gazprom, doesn't build a massive skyscraper amid St. Petersburg's historic palaces. Many brush off the Pavlovsk situation as something typical in modern Russia: a spat over property that will just end up making somebody very rich. There is also a perception that Pavlovsk -- special as it may be -- was lost long ago. "Look at these gardens -- they're neglected," says 78-year-old Antonina Khrestina, who lives nearby. "They used to have everything here -- fruit and vegetables. Now there's nothing. Soon, they'll probably have to sell potatoes just to pay their workers." But losing acres of the Pavlovsk collection -- including hundreds of varieties of strawberries, plums, blue honeysuckle and other fruits that appear at risk, depending on the precise plots sold -- would be the latest chapter in a long story that may say a lot about Russia. In 1940, Josef Stalin imprisoned the institute's namesake, Nikolai Vavilov, because he didn't agree with Vavilov's genetic research. Vavilov died in prison. But the land he chose at Pavlovsk, for its perfect soil and climate, was maintained by fellow scientists, some of whom starved during the German siege. Today, the man leading the Pavlovsk facility, Fyodor Mikhovich, waxes nostalgic about later Soviet times. He calls himself "a simple Soviet director" and says Communist leaders would have figured out a way to save his collection. "This feels like deliberate destruction," Mikhovich says, "a continuation of the '30s, '40s and '50s, when famous scientists were destroyed, along with the science of genetics. Today, they want to bury the legacy of the genetics founded by the great scientist Nikolai Vavilov. What will we, the Russian nation, have to be proud of if we ourselves destroy this?"